With people spending more time hooked up to many devices either at work or home, headphones needed to be more comfortable. Headphones have come a long way over the past several years. There is truly no need to settle for a set that ends up hurting your head or ears after hours of use. With the newer headphones, you also do not have to sacrifice sound quality for comfort. The Verdict - Which Are The Most Comfortable Headpones? There are dozens of headphones on the market right now claiming to be the most comfortable with the best sound quality. Luckily, you don't have to spend hours reading hundreds of reviews to pick out the best headphones. 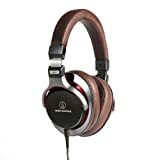 What Qualities are Shared by the Most Comfortable Headphones? The most comfortable headphones for quality sound are lightweight. The heavier your headphones are, the more they put a strain on your muscles such as your neck and shoulders. As little as a few grams can make a noticeable difference in the amount of tension on your head and neck muscles while supporting your headphones. It can be very distracting if you get tension headaches or a tightness in your neck or shoulders. They are also very ergonomically designed. If it fits like a glove, you will not notice it, and you can get lost in your music all day. What Specifically Should I Look for in Sound Quality? They often make a higher-priced headphone with an open-back design for better sound. Comparing the trade-off between a lower cost and a closed design can help rank the overall sound quality. The most comfortable headphones offer a wide range of designs to make them more user-friendly. This can include things like a lightweight design, memory foam in the ear cups and padding on the headband. 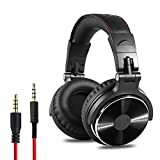 You can buy the most comfortable headphones for quality sound in local stores that sell electronics such as Best Buy, Walmart, and Target. You can also purchase them on the brands' websites and online marketplaces such as eBay and Amazon. They reviewed the following products based on the following parameters: comfort features, pros and cons, price, where to buy, and warranty. We invested much time and effort to research all the products included in this list and tested each of them to ensure the accuracy of our best comfortable headphones list. 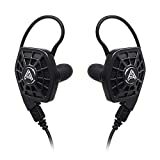 While it is possible to get a decent pair of comfortable headphones for very affordable price, but these are not the highest quality as far as sound goes. With each price step, there come added features meant to increase customer comfort for the headphones. This may include open-back designs, memory foam, noise canceling features and more. Beloved by audiophiles from all over, they can not match Sennheiser regarding their price or performance. The comfort is also over the top with velour oversized pads, open-back design for better air circulation and a thick headband bumper for better wear. An open-back also helps to deliver amazing sound. Key Features of this product include memory foam filled ear cups they designed for comfort. Even though there are a few customers complaints on Amazon that report the headphones slipping while walking overall the fit is great. They also offer a solid studio feel with a closed-back design and 45 mm diaphragm. 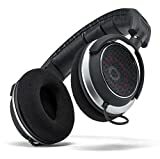 When reading through customer reviews and even lists on consumer websites about the most comfortable headphones on the market, this set is bound to be at the top of the list. Just as the HD 650 focus on comfort, Sennheiser has again hit it out of the park with the HD598. There is a reason these headphones can be harder to get than some others on the list. They price them for a bit expensive but deliver the sound for much more expensive headphones. They design them to fit for long periods of time but may not be as comfortable as higher-end items. With the open-back design, the sound quality is off the charts. Key Features of this product include lightweight at 11.6 ounces with a collapsible microphone. The 50 mm specially tuned drivers result in amazing sound quality. They have a microphone, and extra padding makes them great for long-term gaming use. The comfort, classic styling and sound quality you expect from Bose are all great features of this headset. Customers return to this brand because the sound canceling features are something they know them for and they wear effortlessly. Not only do these most comfortable headphones feel amazing on, but they also allow you to adjust things like the level of noise canceling so you can be even more comfortable. They are also wireless which helps. Key Features of this product include the lightweight materials that do not compromise sound quality. At 8.3 ounces you could wear these padded most comfortable headphones are comfortable enough to wear all day. They also have over the ear cups that are flexible enough to flip out of the way for single-sided listening. These are professional level headphones that even collapse for easy storage and travel with an extra long cord for further ease of use. Over the ear design is preferred by some users but hard to get used to for others. For those that like it, they love the high-end styling of this pair. While the price tag may seem steep for some customers, this is one of the lower priced models from this maker. Cheaper knock-offs do not use the light-clamping pressure or breathable ear cups to increase comfort for the end user. Earlier models of this wireless headphone set were riddled with sound issues that included crackling. Sony has worked hard to fix that, and they have surpassed expectations. The technology has improved, but the headphones have gotten a bit lighter. The noise canceling quality rivals Bose and the over the ear design is a favorite among Sony fans. Key Features of this product include a retro feeling style with removable ear cups for easy upkeep. While they lack the full padding on the headband that more costly model feature, the design is lightweight at 7.2 ounces for those looking for less bulk. They are also wireless and great for traveling. The most affordable OneOdio headphones are still worth an honorable mention. They are comfortable for customers not wanting to invest in higher quality sound. They offer a surprising level of sound for the price. While they do not deliver the noise canceling features of Sony or Bose, they offer a budget-friendly option. 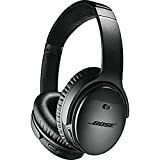 Bose is among the best comfortable headphones on the list as they continue their focus on both sound focus and comfort year after year. Sony has made huge steps towards competing with the pair by Bose. They have fixed many of the issues tied to earlier models and also improved the overall weight of the headset. Every once counts with ease of wear. Sennheiser also made a great showing with both the high-end HD 650 and then the mid-range HD 598. This brand is usually at the top of the list for style, comfort, and design. The fact that they also offer the same quality we expect from them in several price ranges is also a huge plus. Customers can make their own choice as far as which features are worth the extra investment if they want to buy the higher-end pair. While many customers only focus on features like ear cup design and padding as far as comfort goes, there is also something to be gained when factoring in things like wireless technologies and the ability to adjust noise canceling features. This also adds to the overall comfort level.